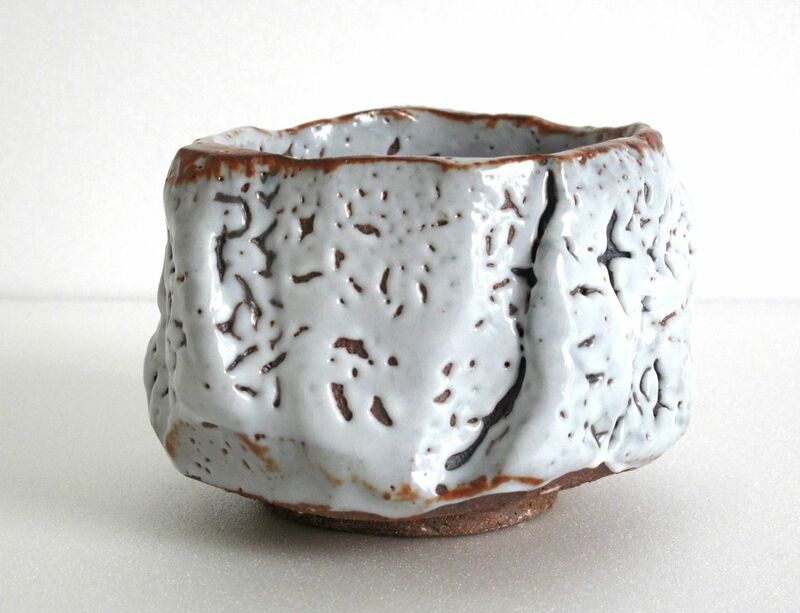 Shino glaze was born in Japan in the 16th century. Since then, it has been revisited many times by Japanese potters as well as by American or European potters. Its specificity is that it can reveal very different colors depending on its thickness – from a bright orange to a snowy white. 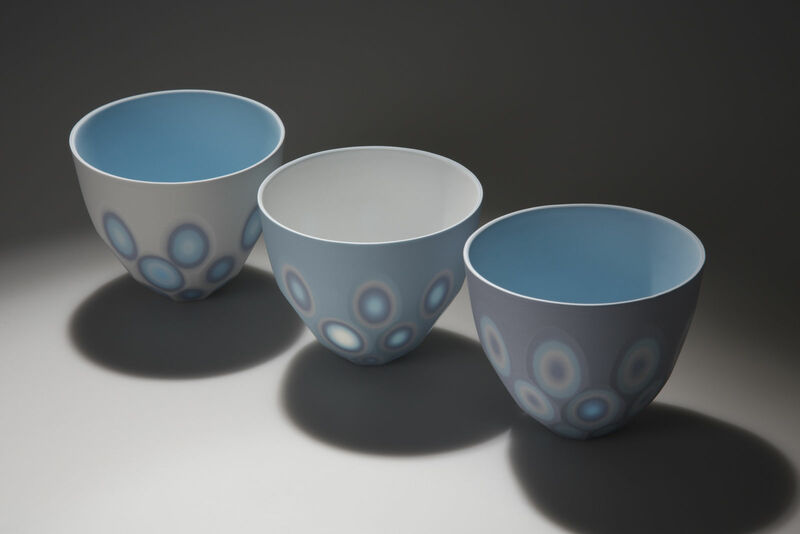 Christine Brückner is a French ceramist specialized in glazes. She has been teaching these matters since 2005, both in structures forming professional ceramists and masterclasses. She is an international reference in the world of contemporary ceramic creation and its diffusion because of her pedagogical experience and her constant research. Christine Bruckner is coming to Andenne for a three-days workshop about Shino glazes: shino, e-shino, shino nosei, gray shinos, yellow shinos, engobe Gozu, etc. During the first two days, participants will learn about this family of glazes. They will make tests that will be placed on tiles or small bowls. The last day, the group will be able to analyze them after they have been fired in a gas kiln. They will discuss about their conclusions so everybody will learn from others experiences. Dates and times: 26, 27 and 31 October 2019 from 9:30 to 12:30 and from 13:30 to 16:30. Price: 280 (equipment and firing included). 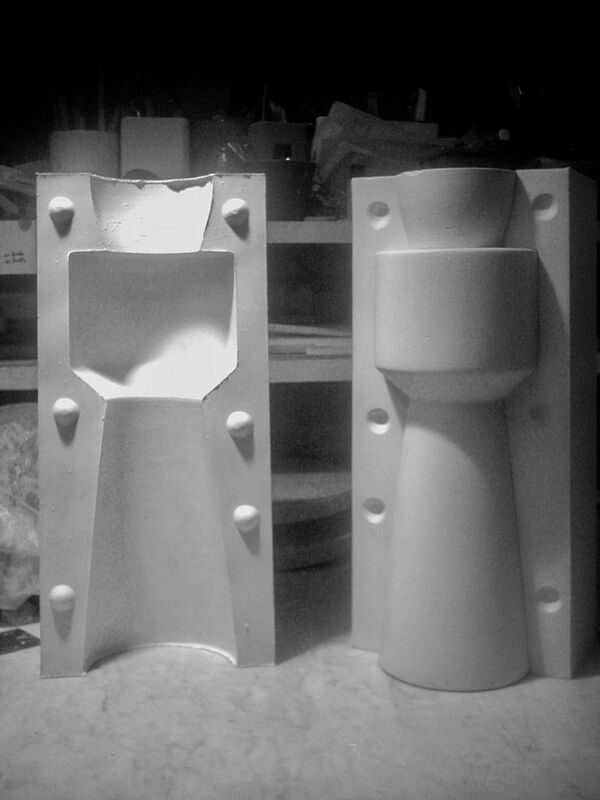 Moulding techniques are increasingly used by contemporary artists because they allow great freedom of creation and facilitate the production of both small series and large complex works. 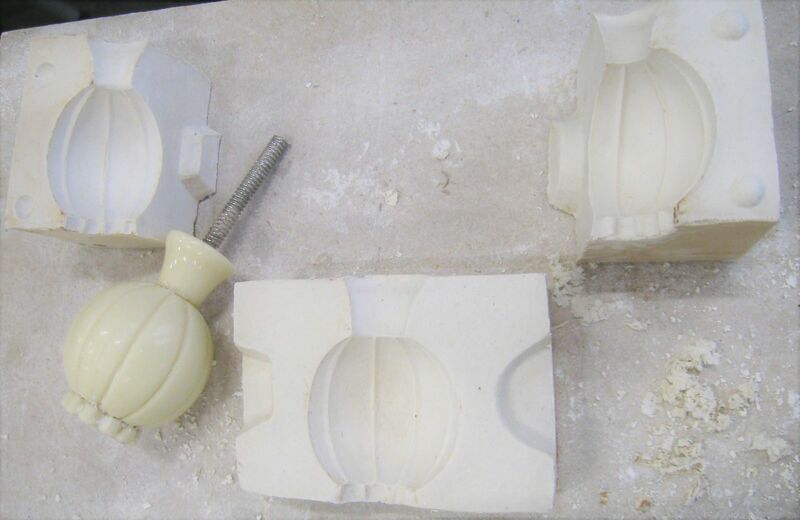 Paolo Iori, ceramist and mouldmaking expert, will guide you step by step in these techniques by helping each participant in his or her own project. Dates: From February 24th to 28th, 2020 (From 9:30 to 12:30 and from 13:30 to 16:30). Prix : 220 €, 5 days course and material included. Bone China is a paste that was developed in England in the XVIIIth century while Europeans were searching for the recipe of porcelain, kept secret by the Chinese for centuries. It is mainly used for slipcasting and, after firing, it offers magnificent qualities of resistance and translucency. These characteristics have very much interested Sasha Wardell, an internationally renowned English ceramist, who has become one of Bone China’s specialists. She adapted the industrial molding and casting techniques of this Bone China “porcelain” to personal studio production. In this three-day course, Sasha Wardell will teach about how to use the Bone China’s slip and some decorating techniques that characterize her work and highlight the whiteness and translucency of this paste. 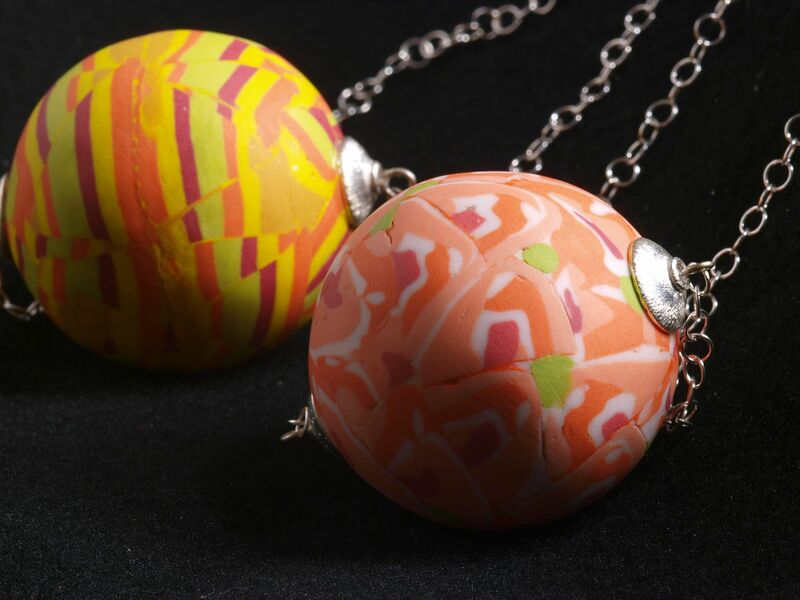 She will also show methods for casting multi-layered colored slips that combine color and translucency. All these techniques can be adapted to the work of casting porcelain for those who prefer to use porcelain instead of Bone China. Dates and times: March 8, 9 and 10, 2018 from 9:30 to 12:30 and from 13:30 to 17:30. Price: 320 € (material included). Martha Pachon Rodriguez, an internationally renowned ceramic artist with great experience in teaching and promoting ceramics, offers us a three-days workshop about contemporary jewelry in ceramics. You will develop and deepen several techniques that will allow you to have a wide field of action as well in the creation of jewelry as for sculptural pieces, furniture and design: nerikomi, mishima and agathe, among others. You could create jewelry according to a project already elaborated in advance or after discussion and sketches during the workshop. To conclude, the course will focus on assembling solutions. Price: 240 (equipment and firing included). A Chawan is a tea bowl designed to prepare and enjoy tea according to some traditional ceremonies, especially Japanese. Eric Franchimont, ceramist and tea master according to the Urasenke tradition (see http://www.urasenke.be/), offers us a tea ceremony followed by a presentation of Japanese chawans. The day will end with a hands-on workshop where each participant will create his or her own chawan in clay. Date: Sunday, February 17th, 2019, from 9:30 to 16:00. Price: 60 € / day. Dates: October 20th, 2018 from 14:00 to 17:00 + From October 29th, 2018 to November 2nd, 2018 (From 9:30 to 12:30 and from 13:30 to 16:30). Prix : 210 € for 1 afternoon + 5 days, material included.